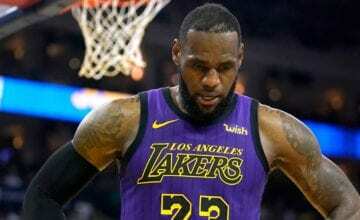 Los Angeles Lakers legend Kobe Bryant has told LeBron James to “keep pushing” despite a horrible first year in L.A.
Bryant discussed the Lakers’ disappointing first season with James and how the Lakers organisation can improve next season on ESPN’s Get Up show on Wednesday. 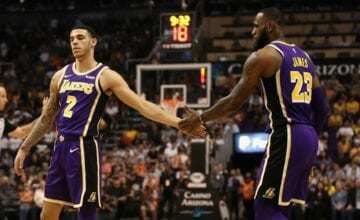 NBA experts have been unable to explain the Lakers 31-40 record, but Bryant believes the answer is simple. He pointed to the injuries that have interrupted the season as a main contributor. 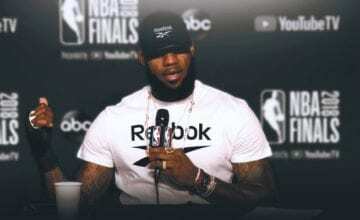 “It was unfortunate because it got hit with so many injuries in rapid succession,” Bryant said. “When they were rolling, I mean, they were playing very well, I think exceeding people’s expectations. “But then they got hit with all these injuries. Kind of set ’em back, knocked them off-kilter a little bit. Bryant’s got a point – James, Ingram, Ball and Rondo all missed sizeable chunks of the season through injury. 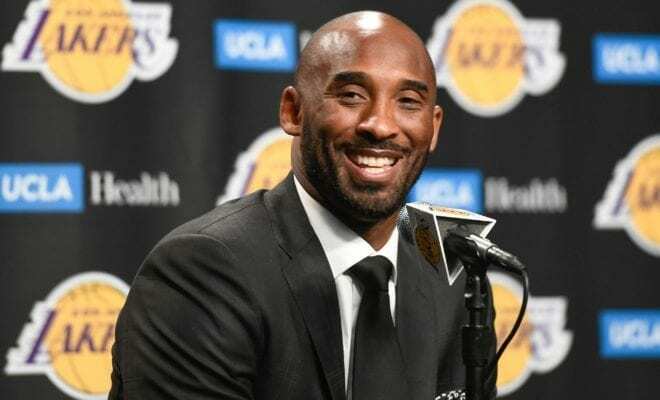 When asked what advice he would give head of basketball operations Magic Johnson, Bryant advised him to be patient. “You have opportunities, things, pieces that you can trade, assets of that sort, or you can stay with the young guys who are extremely talented and have great upside and let them develop. You can guarantee that the Lakers will be moving in whatever direction points them to Anthony Davis. As for Kobe’s advice for LeBron James?